This is the manual for BleachBit, a fast and safe system cleaner. 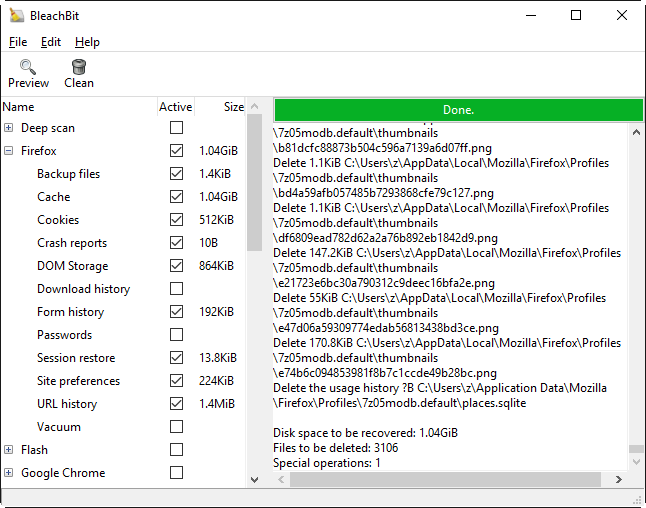 By simply checking boxes, you can delete unnecessary files such as cache, logs, cookies, recently-used-files lists, and more. Use the navigation on left to browse the documentation. Edit this documentation on GitHub.